This master cylinder filler cap is designed to be used with the MCP Cast master cylinder. This master cylinder rebuild kit comes with everything you need to rebuild your MCP Cast master cylinder from the ground up. This kit should help increase the performance of your worn out master cylinder. This MCP Cast master cylinder assembly is a complete kit with everything you need to replace your existing master cylinder. This master cylinder is designed to be used with the MCP Cast brake caliper. 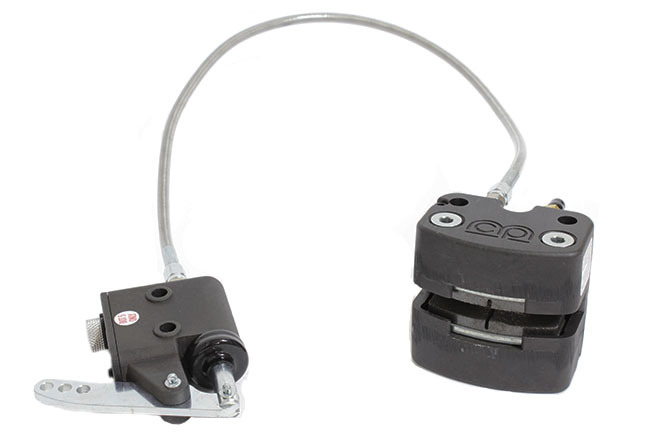 This complete braking system features the MCP Cast brake caliper and master cylinder. Looking to upgrade your stopping power or replace older parts? This kit gives you everything you need to do it.